Hello. My name is Jill and I welcome you to Su Casa Design. I hope you will find things you like here in my store. I started my life in clay in 1993 when my husband and I moved to northern Wisconsin. I learned some basics from my step-daughter and have been enthralled ever si …nce. 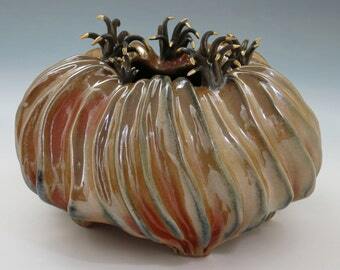 My work is handbuilt from red earthenware clay slabs and extrusions. I make both functional and sculptural pieces and use a variety of surface treatments. I like to use bright colors and bold textures and patterns. I am inspired by nature, buildings, and fabricated items used every day.